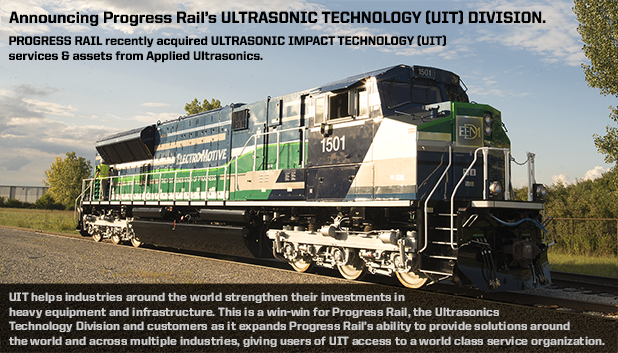 Through our state-of-the-art Ultrasonic Impact Technology that has revolutionized the metal improvement industry forever, we are proud to help vital industries around the world strengthen their investments in heavy equipment and infrastructure. Our business is to significantly reduce the hindering effects of steel fatigue, stress corrosion cracking, and fatigue failure, all with the cutting-edge, non-thermal stress-relief technology of Ultrasonic Peening. Our technology of Ultrasonic Peening uses ultrasonic energy in order to maximize metal improvement and enhancement, and ultimately greatly extend the metal's utility. Industries around the world know that they can rely on us when it comes to providing metal improvement and enhancement that gets the job done, and we offer solutions that are easily adaptable to a variety of working environments. Read about Post-Weld Heat Treatment (PWHT) compared with UIT (non-thermal stress relief).